Years ago there was a movie by the late Gilda Radner from Saturday Night Live. One segment was about how we learn so much in school that we don’t really remember very much at all and how school should concentrate on teaching us the “stuff” that really matters so that after we graduate we have some useful knowledge. Of course it was a spoof, but the audience laughed because there really was some truth in it. Think about all the courses you took in school and how much you really remember or use very often. So what do parents who want to help their kids avoid cavities and save time and money in the process, really need to know and do? Lots of things are really helpful and good to do, like brushing after meals. But most kids do brush after at least some meals and still get cavities, so that is obviously not it. How about not eating sugar for desert? Another good idea, but many parents are pretty good about avoiding deserts, and still their kids get cavities. So that’s not it either. How about going for check ups at the dentist? Most kids do go to the dentist for check ups, and that still doesn’t stop decay for many kids. So that isn’t it either. What is it that will help? 1. Floss your child’s teeth once a day until they can do it themselves. While brushing is great, once the teeth start to touch against each other, the brush does not get in between the teeth. That is where the cavities start to form, so you must get in there once a day and knock out the germs and plaque or the sugar foods that get in there get eaten by the germs, turned into acids and start to form cavities. The best way is for the parent to actually do it for their kids because small children do not have the hand – eye coordination, not to mention the interest, to do it for them selves. From age 5 to about 10, until the children are able to do it themselves, the parents need to pop the floss in between the teeth once a day. It only takes about a minute once everyone is cooperating and that will help a lot. Frequency of sugar consumption in the next item that will really help. As you can see in the accompanying graph, sugar is eaten by the germs in the mouth and they turn the sugar into acids that actually causes the cavities. (That is why the flossing helps because if you get rid of the germs, there is less acid production). So it is not the total amount of sugar that your kids eat, (or you for that matter), it is how OFTEN you eat the sugar that matters for cavities. Believe it or not, if you sit down and eat a big ice cream sunday, it might be very fattening, but it is one sugar contact. But if you eat one little bitty candy every couple of hours, even thought the total sugar might be much less than the ice cream sunday, it can be ten times more acid production. (See the accompanying chart.) For that reason it is very important to watch for the hidden sugars in the processed foods that you may not even realize are there, in addition to the obvious ones, because they all add up. Make sure that the kids are getting proper amounts of fluoride for their age. Since we are fighting acids eating holes in the teeth, the stronger the teeth are to acid attack the better. Of course nothing beats the gene pool, but if you have weaker teeth, the solution is to build a proverbial “moat” around them to keep out Mr. Tooth Decay. And the best way to do that is to fill that “moat” with fluoride. Despite some of the hype, there is absolutely no evidence that the proper amount of fluoride is bad for you. In fact, the recommended amount of 1 part fluoride per1 million parts of water is naturally found in the ocean. There are places in the USA where fluoride is naturally present in the water in over 5 x the recommended amounts. As much as 5-7 parts per million is parts of Texas and Arizona and it has probably been that way for 50,000 years. Although very high levels of fluoride can cause some tooth discoloration, there is absolutely zero evidence of any increased medical conditions in these areas. Take your kids for their first dental visit at age 1 or as soon as you can if you missed this date. And keep it up every six months thereafter. And lastly you need to get to the dentist early and often. But not for why you think. The main reason that the American Academy of Pediatric Dentistry recommends that children are brought to the pediatric dentist by age 1 is so that the parents and children can be shown the proper care of their teeth, get helpful dietary suggestions, proper fluoride recommendations and to start the habit of regular care to reinforce doing the right thing and to catch problems early before they get to be a big deal. Make sure that you leave after every dental visit with helpful information on food, fluoride, a plan to minimize decay in the future and the next 6 month appointment pre-scheduled so you stay on target and can make mid course corrections as needed. Think abut it. You get a new appliance or car and you get all sorts of instructions and warranties. You get a new baby and you get a box of pampers, a can of formula and out you go with absolutely no idea how to care for this little person. 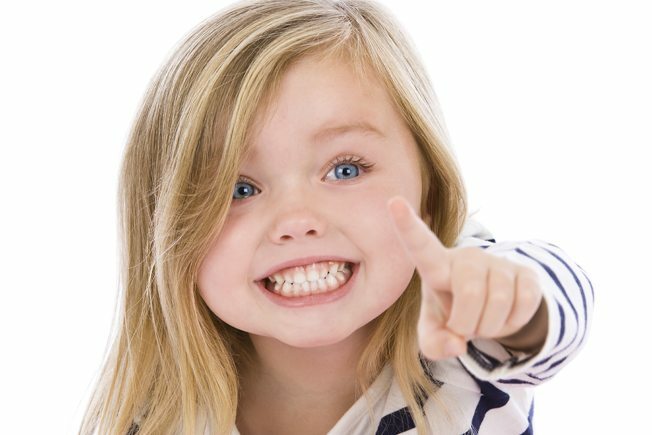 Finally, as a parent, continue to learn all you can about dental health by visiting the various web sites like www.DentalCareKids.com, www.AAPD.org and www.ADA.org.